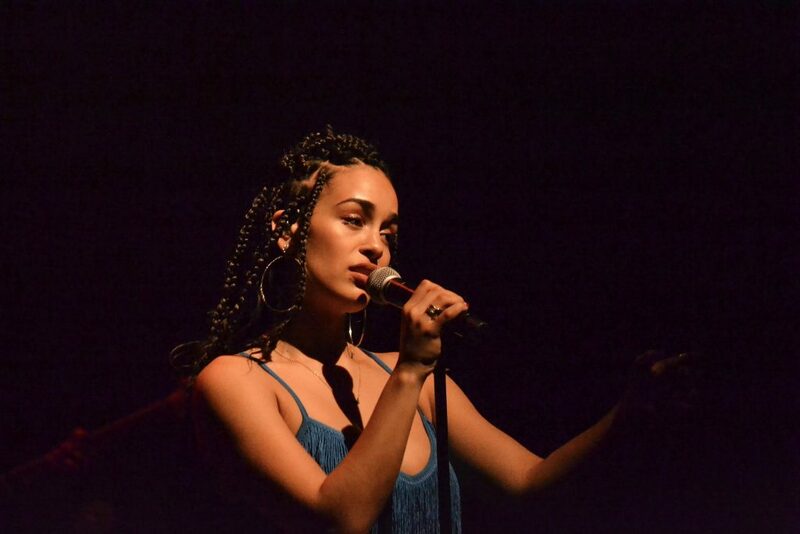 Jorja Smith, a 20 year old British singer, capitaved a sold-out crowd at the quaint Thalia Hall in the Pilsen neighborhood of Chicago on May 2. Smith’s smoky, yet extremely commanding voice helped create a truly intimate and warm feeling between herself and the audience. Although the venue was at capacity, as you watched Smith it was difficult not to become entranced by her angelic voice and stature. Albeit it may not have been on purpose, Smith did an amazing job of making you feel like it was just you and her in the room. Her constant deep gaze into the audience made you forgot about everything else in the world, besides her..
As Smith strutted out in her blue flapper-inspired dress and white Nike Cortez shoes, I literally lost my breath. 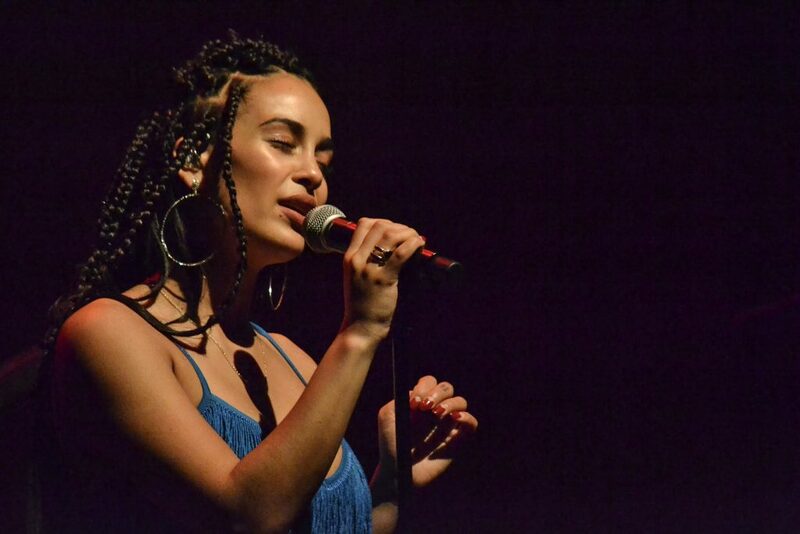 Jorja, also affectionately known as JMoney on social media, began her concert with “Something in the Way,” a song off of her only release, an EP titled Project 11. As she sang, her blue dress and the blue background, along with her soulful voice, created a surreal atmosphere. 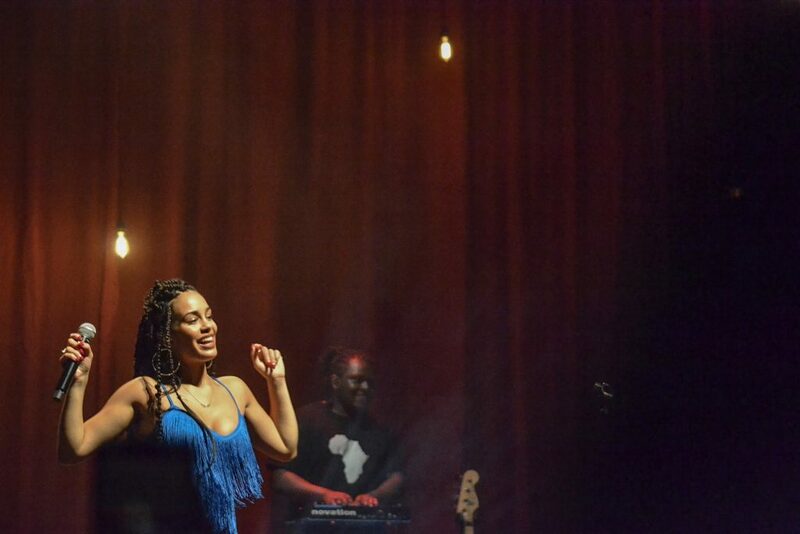 Supported by her band –a guitarist, bassist, keys player and drummer–she then went on to play “Where did I Go?” and “Teenage Fantasy,” which are two new singles of of her upcoming debut album Lost & Found. 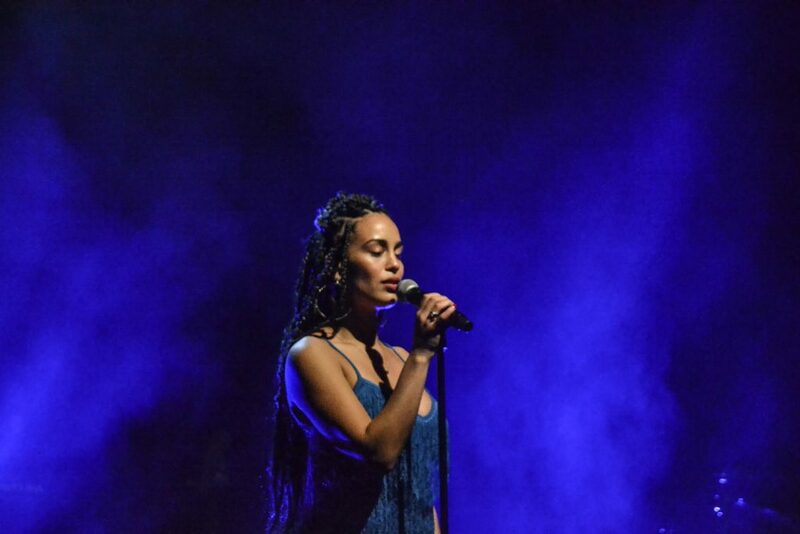 Smith’s silky smooth voice and overall appearance was amplified when she finally introduced herself to the audience using her distinct and strong British accent. Even though her words were met with deafening cheers and the occasional scream of “I love you,” Smith’s gentle voice and sensuous smile was still able to reach the audience clearly and confidently. Smith then performed a few older songs, including “Beautiful Little Fools,” before she introduced a new song called “Goodbyes.” She prefaced the song with the fact that she wrote this song after losing one of her closest friends, which put her age and personal life into perspective. While watching her literally control all of the emotion and attention in the building, it was so easy to forgot that she is currently the age of a junior in college and is navigating young adulthood just like a lot of us in the audience. The concert was amped up a few notches when she covered TLC’s famous song “No Scrubs,” giving everyone in their audience their first chance to sing along in unison. After she finished the song, she ran off stage, giving the impression that the concert was over. This led the crowd to chant her name until she returned. Before she began singing again, she let her band perform a solo, as she sat on an amp and watched graciously. The solo seemed to not only re-energize the crowd, but gave her a rest as well before she performed her most popular songs. She started out with her powerful new single “Let me Down” before transitioning to “I am,” her single from Black Panther the Album, and “Blue Lights.” The crowd, vibing in an intrinsic swaying motion, passionately sang along more than ever before. After playing two more songs, Smith had the crowd enthralled and on their toes with her final performance of her hit “On my Mind.” Smith, who spent the entirety of the performance grinning and glistening, walked from end to end of the stage and made sure she was the center of everyone’s attention before thanking the audience and quickly running off the stage, leaving the crowd begging for more. Smith’s hour long performance left a lot of the audience, including myself, wanting more.This was not because it was lacking anything, but because of her grace and heavenly persona that no one wanted to watch walk off the stage. Now I am more excited than before, for her debut album coming out in June.